CZ over at Verizon's PolicyBlog got a moment for a little Q&A action with Brian Whitton, Executive Director of Access Network Design and Integration for Verizon's FiOS service. Brian provides some insight into Verizon's decisions to use MoCA and FTTP for FiOS and FiOS TV. What is the speed range that FiOS needs to be able to support in Verizon's eyes in order to deliver the kind of content experience they dream of? Is there anything being deployed elsewhere on the globe that is better/faster? What new content services will Verizon make available for FiOS users and by when? what are the application they are focusing on first? games? video conferencing? movies? Motorola technology and set-tops power the Verizon Home Media DVR service, so I’m familiar with its use of MoCA to network TV throughout the home. What is your view on the choice of MoCA (using existing coax cable) as a networking platform versus other options that are out there? What do you think of wireless networking platforms and when do you think we’re likely to see a wireless solution deployed that can effectively stream HDTV? Jump over to the PolicyBlog to check it out. There will be some additional Q&A posted soon. Starting today, Verizon FiOS TV subscribers in the Washington metro area will be able to tune to a new local television channel, FiOS1, for local weather, traffic, news, sports and community features. FiOS1 is Verizon's first owned-and-operated television channel in the United States, and the company expects to launch similar channels in other markets this year. If you're looking at companies launching quad-play strategies, then check out a new report analyzing Japan's Softbank. Softbank’s acquisition of Vodafone’s Japanese mobile operation in March 2006 marks a new stage in the Group’s development. Infrastructure is one of the ‘triple number one’ elements that Chairman Masayoshi Son has identified as the Group’s strategic focus, and now Softbank has interests in all access technologies. Coupled with its portal and content capabilities, Son believes that Softbank now has a reach that no other service provider can match. With the pieces in place to realise its aim to be the digital lifestyle company, it’s all about execution. This report assesses the quad-play strategy and opportunities of one of the most aggressive service providers worldwide. For one week only CeBIT Australia 2007 is offering 2 delegates for the price of one to any of our conferences. Register 1 delegate and the second delegate registers for free. Choose from any of the following: CeBIT Connect Keynote Series, VoIP & IP Comms Conference, e-Government Forum, SEO & e-Marketing Conference, Open CeBIT Conference, e-Commerce Conference. Valid until Thursday 5th April 2007 inclusive. Call +61 2 9280 3400. For more information about these conferences and forums, including programs visit www.cebit.com.au. The Business Day recently reported on the deregulation of the telecommunications market in South Africa. Stakeholders within the market, especially value-added network service providers and smaller mobile operators, are frustrated because of the slow pace at which deregulation is taking place. Tony van Marken, executive chairman for the DataPro Group, has commented that the deregulation authorities have had the opportunity to learn from other countries that have undergone deregulation by studying their successes and failures. This however is not evident when one looks at the lack of progress and the implementation of the Electronic Communications Act. SIRIUS Satellite Radio and Chrysler Group announced that Chrysler Group will be the first and only auto manufacturer to offer SIRIUS Backseat TV in its 2008 model-year vehicle lineup. SIRIUS Backseat TV is a dynamic and pioneering TV service that delivers TV from the best family TV programmers directly to the vehicles. Whether driving cross-country or cross-town, families will be able to access SIRIUS Backseat TV's high quality television entertainment and family TV fare through a simple, easy-to-operate video service. SIRIUS Backseat TV is TV programming from the world's most trusted brands in family entertainment -- Nickelodeon, Disney Channel and Cartoon Network. The service will be available in select 2008 model Chrysler, Jeep and Dodge vehicles, beginning with the all-new 2008 Chrysler Town & Country and Dodge Grand Caravan minivans, available later this year. GlobeCast WorldTV and SIVOO announce that content from more than 60 of GlobeCast's WorldTV channels will be carried by SIVOO when the service becomes available in June. Under the terms of the agreement, GlobeCast WorldTV will license a wide range of programming to SIVOO. The premier television packages will be distributed via SIVOO's Internet TV network. Content will be available in high-demand languages including Chinese, Russian, Tagalog, Korean, Italian, French, Arabic, Tamil, Malaylam, Telegu, Persian, Cambodian, Bosnian, Serbian, Macedonian, Bengali and Romanian. SeaChange’s groundbreaking TV Platform was named Best IPTV Innovation at the Convergence World Awards ceremony during the IEC C5 World Forum in Milan this week. In presenting the award, judges recognized SeaChange as “an innovative company,” and noted several customer testimonials that demonstrate the Company’s high level of market acceptance. The SeaChange TV Platform was developed to get broadband operators into the IPTV business fast. It is a complete IPTV system that enables operators like Corvette Telecom to easily launch and expand a wealth of subscriber services such as on-demand movies, electronic program guides and convergence services. It is the industry’s first service delivery platform, based upon a modular solution born from SeaChange’s extensive experience in middleware and on-demand solutions. Any computer equipped with a TV tuner card can display and record television programming. A new study from ABI Research shows the total worldwide PC TV tuner market growing from about 15 million units 2006 to 41 million units in 2011. That represents a solid growth curve, but according to ABI Research principal consumer electronics analyst, Steve Wilson, "The TV tuner card market hasn't taken off quite as quickly as some industry commentators expected it to. That has less to do with technology than with consumers' awareness of their possibilities, and broader market support from studios, operators, and the FCC. The technology is pretty much in place; the questions that need to be resolved before we see really rapid uptake relate to the user-experience, and the integration — via digital media adaptors — with the rest of the consumer electronics that people have in the home." DoubleClick releases the results of its recent research of online video ad placements, illustrating that video is a highly effective format for online advertising. Findings show that audiences have high interaction rates with video ads, users click the "Play" button more than they click on image ads, video ads are typically played two-thirds of the way through and video ad click rates are far higher than those of image format ads. DoubleClick conducted its analysis of more than 300 online video ad campaigns that were placed by more than 130 advertisers over a four-month period in 2006. The objective was to identify major trends in the performance metrics of online video ad campaigns according to campaign features, such as vertical industry sector, ad format, ad size and ad length. Microsoft announces the upcoming availability of Xbox 360 Elite, a new model of the video game and entertainment system that will include a 120GB hard drive, a high-definition multimedia interface port, a high-definition cable, and a premium black finish for the console, wireless controller and Xbox LIVE headset. Xbox 360 Elite has enough space for a library of Xbox LIVE Arcade games and thousands of songs, as well as downloadable high-definition TV shows and movies available on Xbox LIVE Marketplace. The new 120GB hard drive also will be sold as a stand-alone accessory to give current Xbox 360 owners greater choice and flexibility in their games and entertainment experience. Additional Xbox 360 Elite accessories, such as the black Xbox 360 Wireless Controller, Xbox 360 Play & Charge kit and the Xbox 360 rechargeable battery, will be available separately. 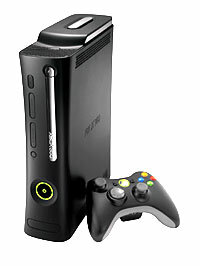 The Xbox 360 Elite and its accessories are expected to begin arriving in U.S. stores on April 29. Optibase announces that Humberside Police, UK has upgraded their current IPTV system with Optibase’s carrier-grade, MPEG-4 H.264 solution. Together with local UK partner, Cotswold Communications, Optibase’s delivered a system that includes MediaGateway encoding platforms, which will be streaming feeds coming from the police helicopter to multiple PC clients across the force’s network. For Humberside police, the idea of officers watching video footage in their fight against crime is not a new one, in fact they have been using and IPTV system since 2003. With this system, the Humberside police are able to effectively deal with the challenge of having the right decision making resources at the site of a crime or an accident. The City of Naperville continued its opposition to Illinois House Bill 1500, the Cable and Video Competition Law of 2007, through testimony before the House Telecommunications Committee on March 22. As a result, the Committee Chairman declared that HB 1500 will be amended. Proposed by AT&T, HB 1500 would provide preferential treatment to the telecom giant and strip local municipalities of franchising power. The proposed law would mandate statewide franchising without local municipal input. If passed, the Illinois Commerce Commission would have the power to grant state-issued authorization to cable and video companies, eliminating the rights of municipalities to govern the service providers for their areas. Verizon will soon begin deploying an advanced technology from Alcatel-Lucent that will dramatically improve the capabilities of Verizon's industry-leading 16-state fiber-to-the-premises network. The new technology, called a gigabit passive optical network, increases the aggregate broadband speeds on Verizon's FTTP systems by four times downstream to the customer, and by eight times upstream back to the Internet. This provides the capability for future enhancements to FiOS Internet Services and FiOS TV. Verizon will be the first major telecommunications company to deploy the new technology to customers in the United States. ON Telecoms is using Orca's RiGHTv middleware in a pioneering Greek IPTV deployment. In four months from engagement to launch, ON Telecoms began offering an attractive triple play package for customers in January 2007, including live TV (hybrid of DVB-T and IP channels), on-demand services such as video on demand and super fast broadband up to 10 Mbps. The service uses MPEG-4 technology and can provide channels in Standard Definition or High Definition quality.